Welcome home to Bluesky Landing Apartments. 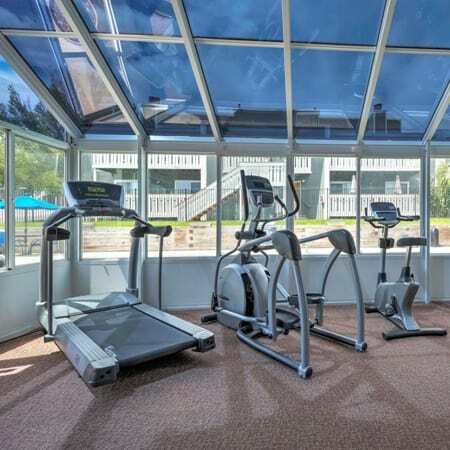 We offer one and two bedroom apartments for rent in Lakewood’s Green Mountain neighborhood. Fantastic views of our professionally landscaped grounds, old-growth trees, and the Rockies can be seen from the property. Our pet-friendly community boasts must-have amenities and the best location on the Front Range, all for a price that fits your budget. 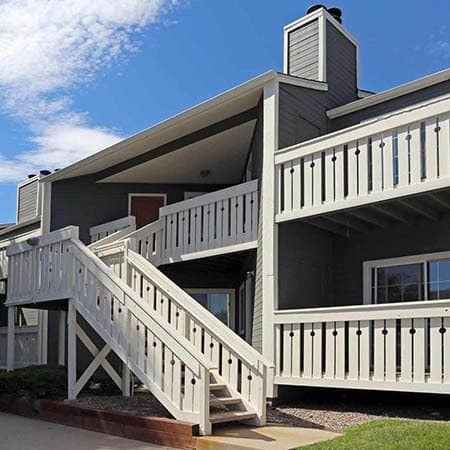 Discover what makes Bluesky Landing Apartments the ideal home for individuals, roommates, and small families in Lakewood, CO. Our apartment homes range from 680 to 910 square feet. Whether you’re looking for a one bedroom home for yourself, or a two bedroom, two bathroom to share with a roommate or family, we have the perfect space for you. 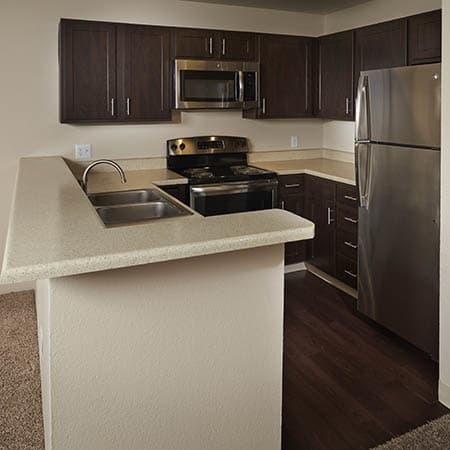 All of our apartment homes feature walk-in closets, washer and dryer, and private balcony or patio. You may also choose a floor plan with newly upgraded features, such as stainless-steel appliances, espresso cabinetry, and two-tone paint. Your new neighborhood is in the heart of the Lakewood Foothills area. 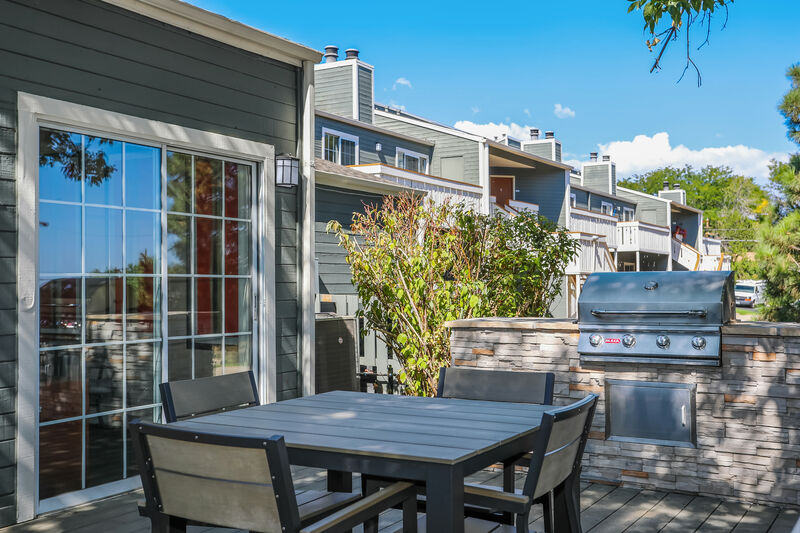 The Green Mountain neighborhood is situated in between downtown Denver and the mountains, with all of the must-have conveniences of suburban life. Hit the trail at Green Mountain, catch a live show at Red Rocks, or enjoy an evening out in downtown Denver. Everything from work to recreation is less than 15 minutes away from your front door. Our apartment homes feature practical amenities both inside and outside your front door. We know that laundry day is always a chore. That’s why we’ve included a washer and dryer in every home. Enjoy the outdoors from the comfort of your own home on your private balcony or patio. On cool evenings, relax in front of your wood-burning fireplace. 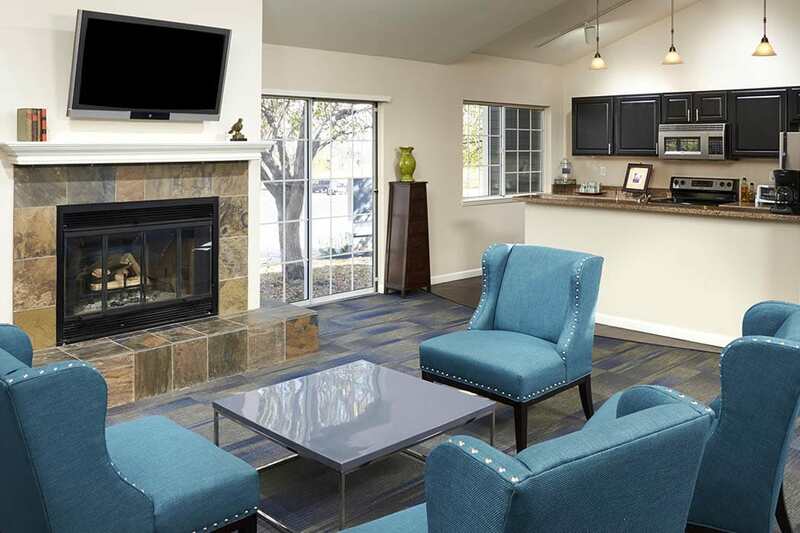 We’ve included amenities that make life easier, for a competitive price. 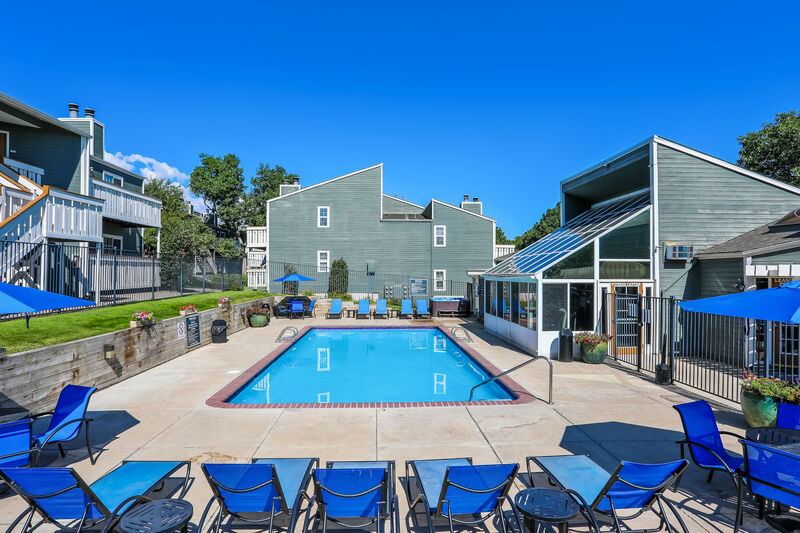 Outside your apartment, you’ll discover community amenities that fit your lifestyle. 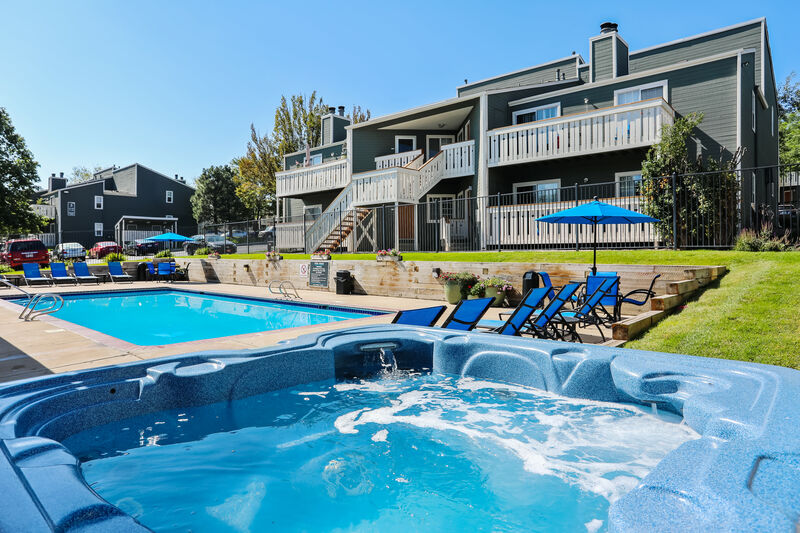 Soak in our heated swimming pool or year-round hot tub. Exercise on your own time in our modern, 24-hour fitness center. Our pet-friendly community has a bark park and pet-care stations throughout the property. Get involved with our online community. 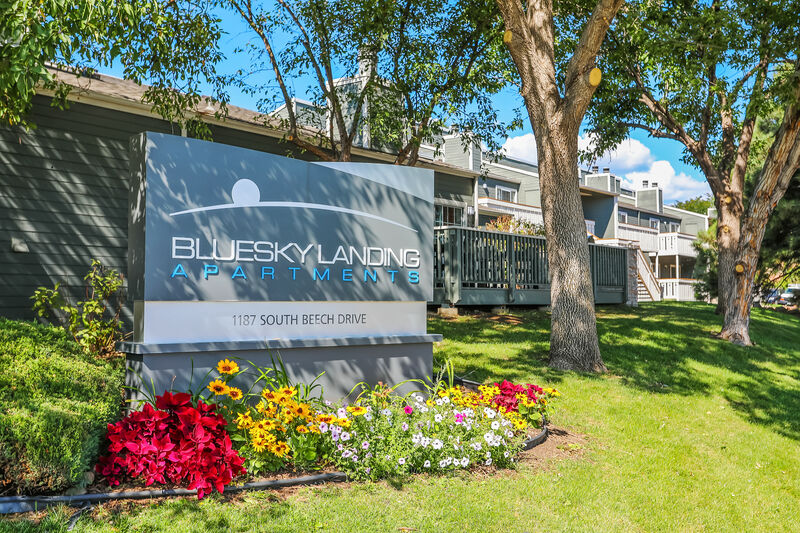 Bluesky Landing Apartment’s Facebook page is a great way to connect with residents, keep up-to-date with community events, and post a review. Look through our photo gallery and floor plans, select your ideal apartment home features, and then call us to schedule a personal tour. 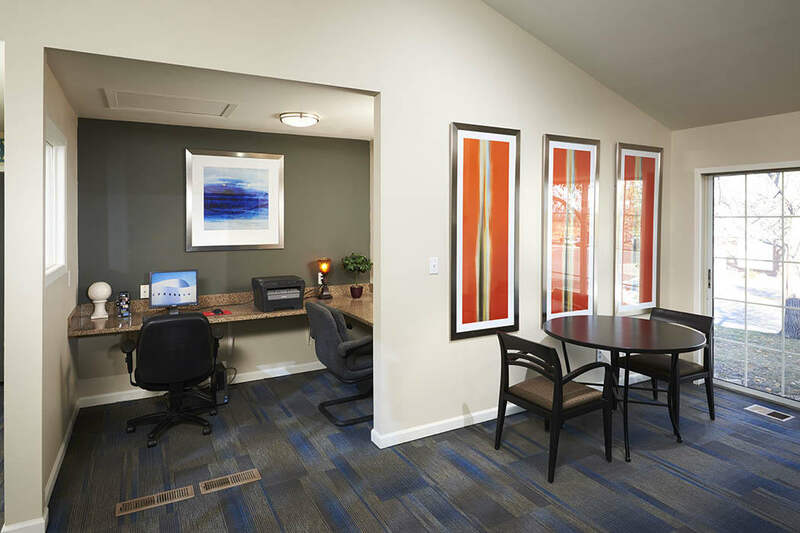 We hope to see you soon at Bluesky Landing Apartments. Bluesky Landing Apartments welcomes your furry family members to our Lakewood community. All of our one and two bedroom apartment homes for rent are pet-friendly, with no weight limit. We welcome up to two pets per home. 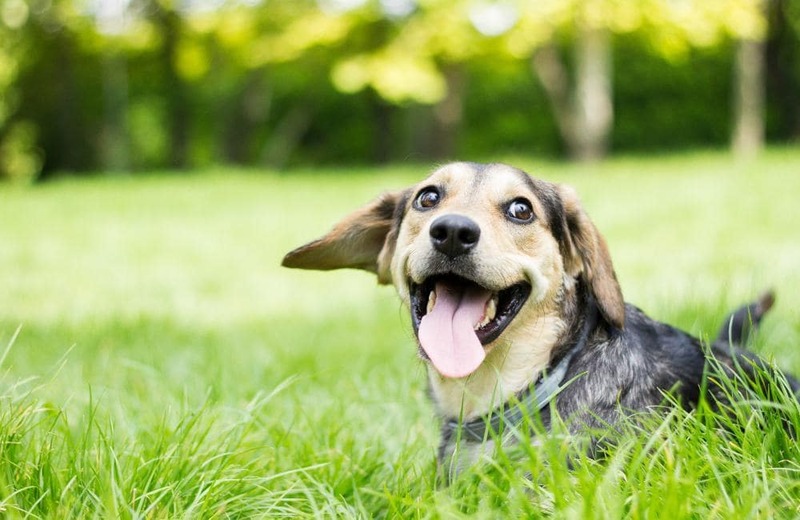 Our expansive property is the perfect place to go for a walk or play at the on-site bark park. There are pet-care stations throughout the property, as well. Taking care of your pet is easy in Lakewood. There are numerous pet supply stores, veterinarians, and public parks nearby. If your dog loves to hit the trails with you, Green Mountain Park, Jefferson County Open Space, and Red Rocks Park are all less than 15 minutes away. At Bluesky Landing Apartments, we allow a maximum of two pets per home - breed restrictions apply.